If you’re looking for new riding sweeping or scrubbing equipment, you’ve come to the right place. We offer the best product lines in the market. Our equipment managers know their products and can help you analyze your needs to find the perfect piece of equipment for your budget. Contact us today to set up an equipment demo or to speak to a member of our team about any cleaning equipment. 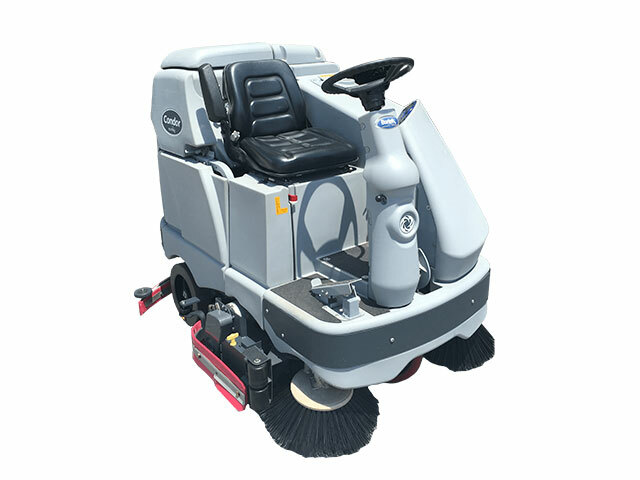 This rider sweeper-scrubber does it all the first time around and leaves a clean, dry floor in its wake. The power steering and comfortable seating make cleaning easy on the operator, too. Advance products use innovative technology to increase productivity and drive down the cost of use making this a highly cost effective machine. 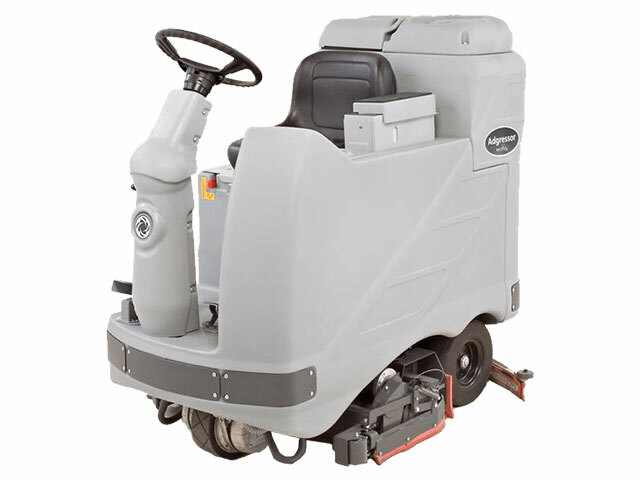 A comfortable operator compartment provides excellent field of vision of the area to be cleaned. 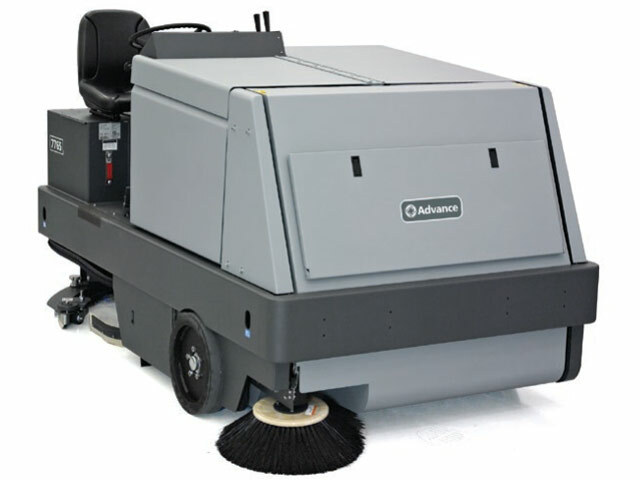 A true multi-tasker, the Advance CS7000 combines the power of a sweeper combined with a scrubber. The CS7000's rear-wheel steering creates easy maneuverability in a “green” machine. 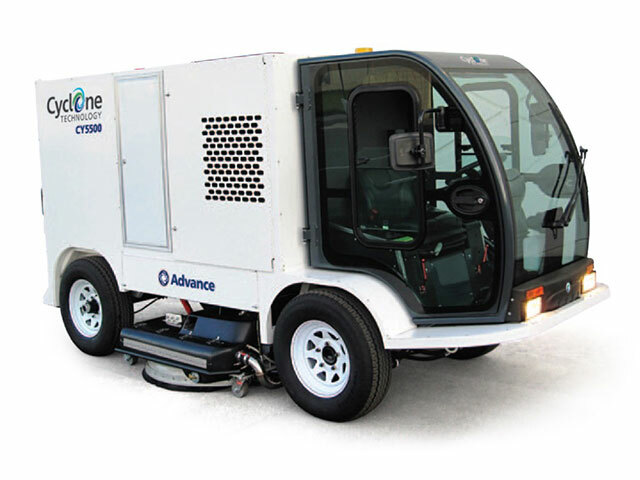 Cyclone technology powers the Advance CY5000 and CY5500 pressure washers. The Cyclone recovers the water, filters out the contaminants, and then recycles that water. The self-contained system is environmentally friendly and as powerful as a category 4 hurricane. 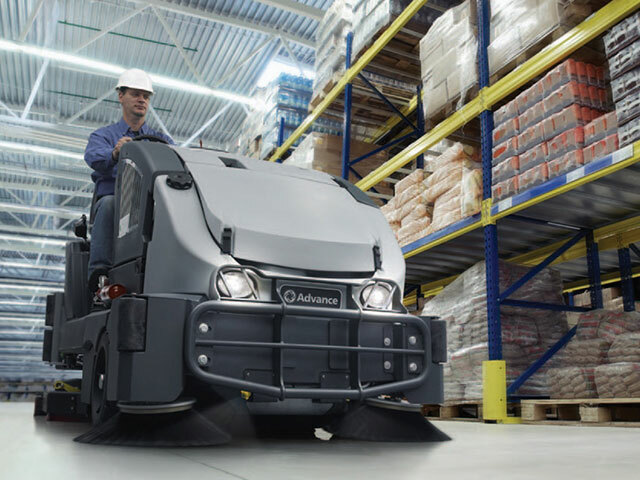 Advance’s Proterra riding sweeper has a large cleaning path and hopper capacity to let you get the job done. The Proterra works well in various environments including factories, parking garages, and warehouses. 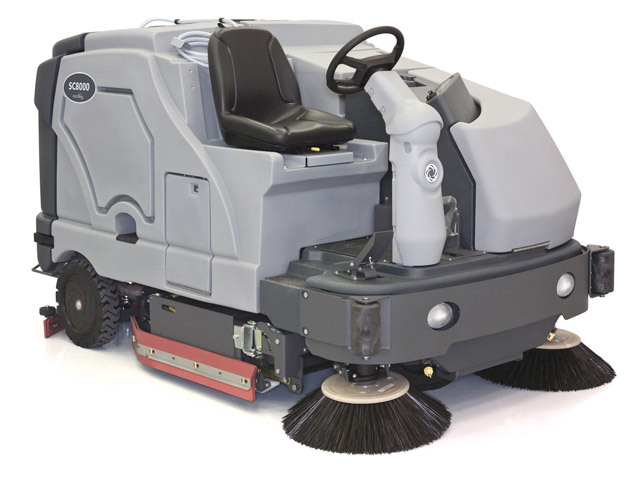 The Advance SW8000 has a 77-inch sweep path – the largest in the industry for a riding sweeper. 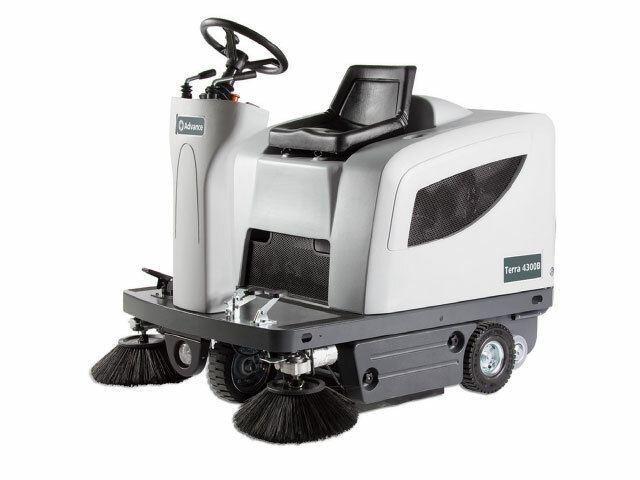 Equally efficient indoors and out, the SW8000 possesses rugged durability and superior dust control. 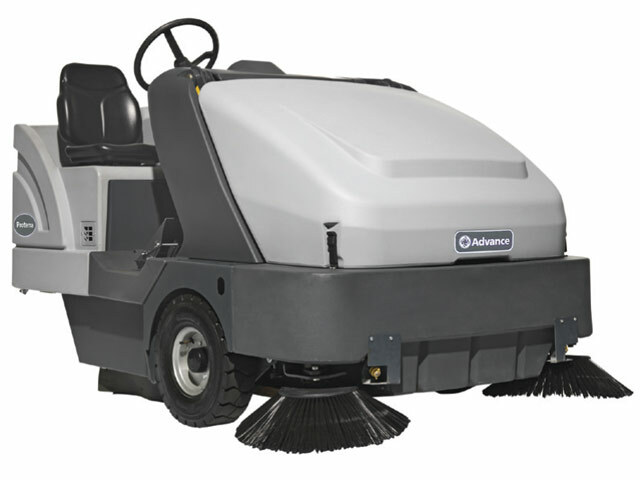 The Advance Terra 4300B is a reliable, compact riding sweeper with excellent maneuverability, a 46" sweeping width, and it’s easy to operate. 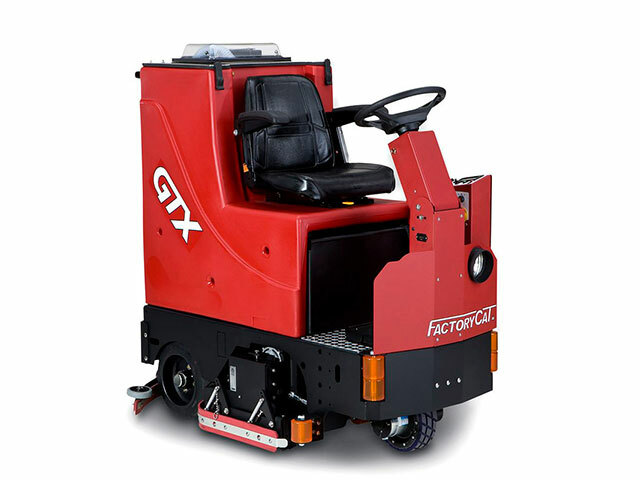 Hop aboard the Factory Cat GTX and enjoy the power of this riding scrubber that has the maneuverability of a walk behind. 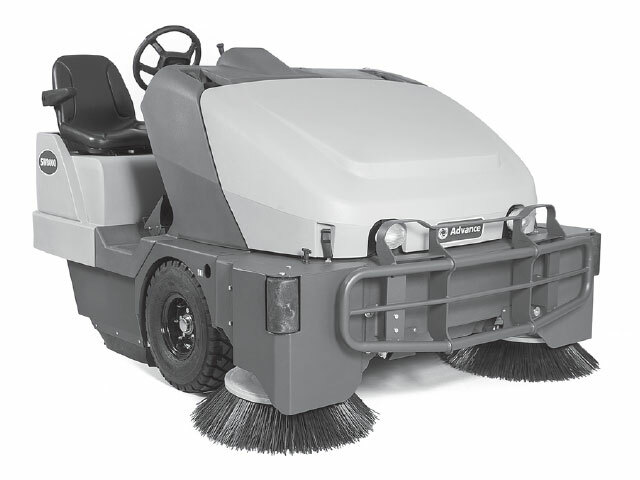 Optional cylindrical brushes sweep debris while scrubbing. 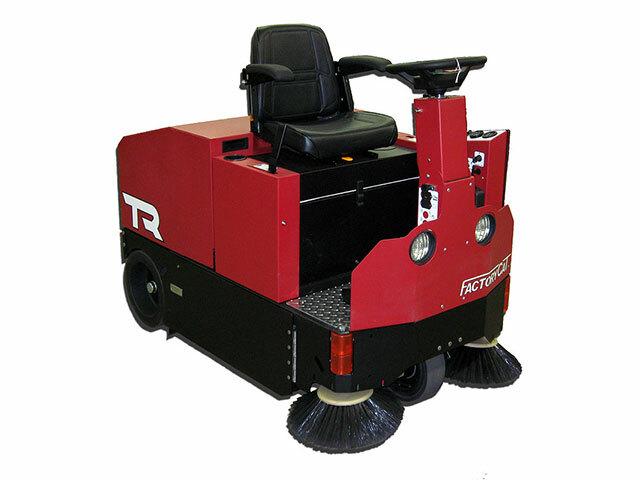 The Factory Cat TR is a compact, durable riding sweeper that can get into areas other large sweepers cannot. Side brooms reach into corners to pick up dirt. 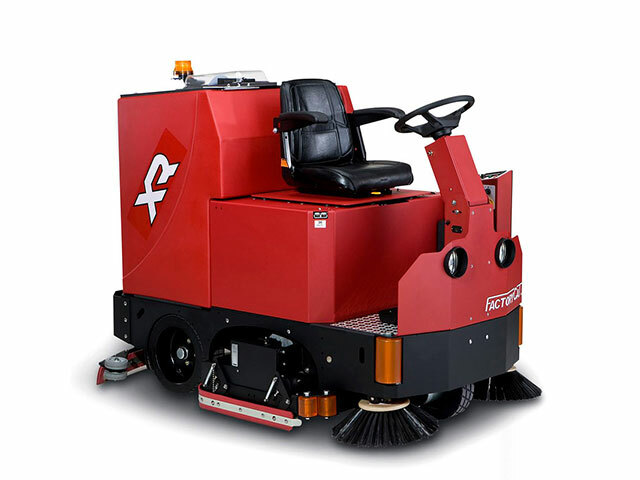 Factory Cat’s XR is its largest Rider Floor Scrubber to date and combines the cleaning power of a riding sweeper-scrubber with the maneuverability of a walk behind. The best of both worlds collide in this superb cleaning machine.